Mr Shelf is a supplier of Retail Shelving Systems, including a vast range of Gondola Shelving, Till Impulse Shelving & Hi-Tec Wire Shelving systems. Our Gondola Shelving System is undoubtedly one of the best-designed display systems that accommodate both retailer and customers needs. 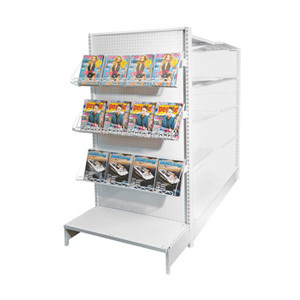 Gondola shelves offer durable, innovative and practical display solutions. Light-weight, economical and adjustable, gondola shelving is designed for easy assembly and installation with minimal disruption to daily business operations. Our durable and versatile space saving range of wire mesh shelving and wire mesh display units will help accommodate your needs and maximise your retail potential. We aim to deliver high-quality affordable wire mesh products and reliable customer service. 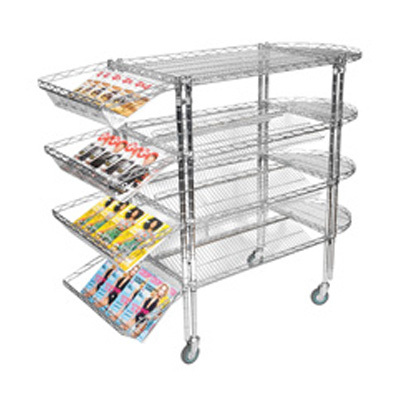 Choose from freestanding, fixed or mobile wire mesh shelving and display stands that are manufactured from high tensile steel wire which is zinc electroplated or baked epoxy powder coated. Our powder coating range has a very high-quality finish and is available in a range of colours to match other fixtures and fittings. Our light and heavy duty wire mesh shelving and wire mesh display stands can be used in supermarkets, restaurants, hotels, butchers, pharmacies and a variety of business for different applications.